America’s Defense Advanced Research Projects Agency (fondly known as DARPA to most of us) has developed products for the military that have found their way into our daily lives such as computers, the Internet, GPS, duct tape and microwave ovens. It’s extremely rare that innovation from the sporting gun market will reverse that trend into a trickle-up for the military. After all, how can breaking clay targets and wingshooting have an impact on our troops in the field? Well it looks like Curt Whitworth, a marketing guy from Michigan, may make us shotgunners proud with a shoot-through bore cleaner called CleanShot. Now available online and in Walmart, CleanShot could make its way into the shotguns, rifles and handguns used by U.S. military personnel. Designed for field use, CleanShot is a patented high-velocity, bore-cleaning device that uses approximately 9,600 psi of outward pressure to power scrub, trap particles and wipe the bore clean. 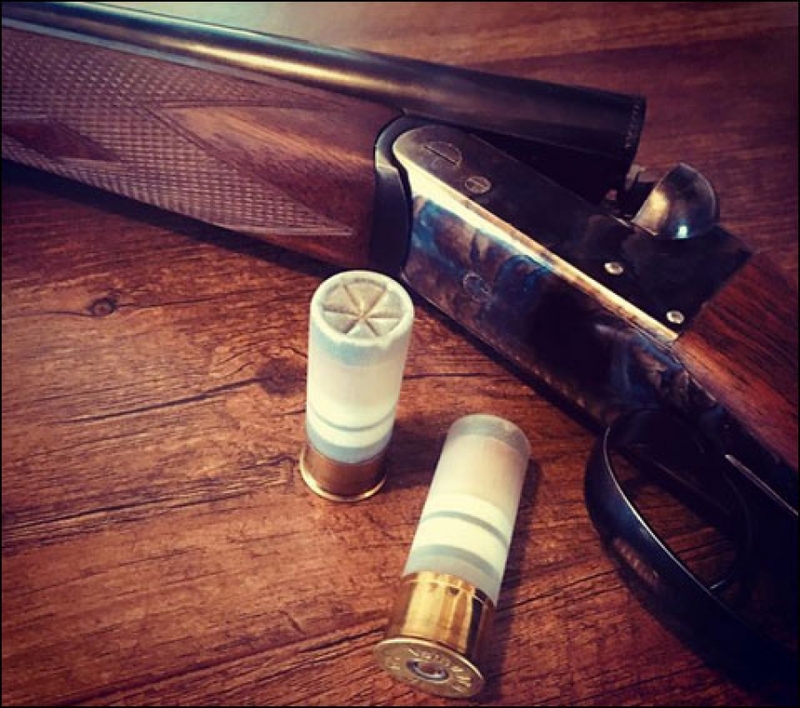 You load a CleanShot round in the chamber like any other cartridge, safely fire and your gun is field cleaned in an instant. 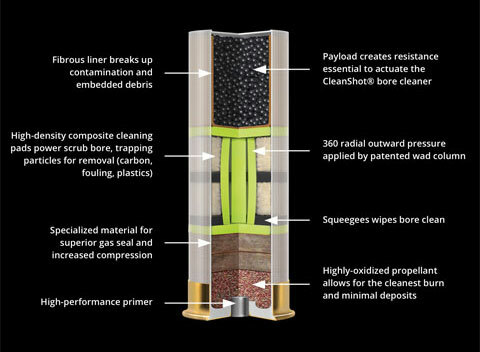 “CleanShot removes contaminates in the bore in seconds,” Mr. Whitworth said. He had spent 34 years in advertising, specializing in heavy vehicle components and outdoors products. Then about five years ago something remarkable happened. The CleanShot shoot-through-bore cleaner in 12 gauge. In 2012, he began buying books on reloading and reloading equipment. He took apart shotgun shells as form of deconstructive research – basically learning to some extent through reverse engineering. “I just started engineering my way through it,” he said. He recruited a software design engineer and a PhD in pyrotechnics to develop specifications for this shoot-through bore-cleaner. A cut-away of the CleanShot shoot-through bore cleaner for shotguns. 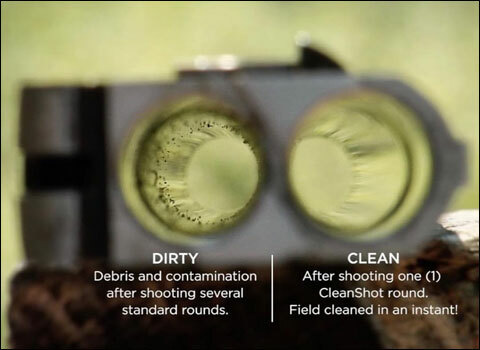 CleanShot demonstrates before-and-after results of its shoot-through bore cleaner. By July 2015, having several utility patents in the pipeline, Mr. Whitworth was doing a financial and professional balancing act. His personal savings and income from his marketing company were funding the development of CleanShot. But he turned a corner with CleanShot, that month by dedicating all of his time to the product. In a move he called “paying it forward,” he opted not to sell the marketing company but instead turn over all of the accounts to his employees. And he believed that potential included supplying the U.S. military with the CleanShot technology. In 2017, Mr. Whitworth’s leading-edge way of thinking took a turn to the Internet. At the industry’s SHOT Show, he met the CEO of crowdfunding site, FireFunder. Its value proposition was that you invested in new hunting or firearms products and in exchange receive first deliveries at a discount or promotional price. FireFunder operated on the same principles as Kickstarter, GoFundMe and others, except it filled an important gap by specializing in the hunting or firearms start-ups the other sites generally prohibited. Come March of that year, CleanShot was one of the first FireFunder participants. Mr. Whitworth raised about $3,500 in pre-order sales. He also found an investor that could see the future potential of CleanShot and the marketplace. Mr. Whitworth sold a small piece of the company in exchange for making the large molds that would drive down production costs. The revenue stream started to flow. 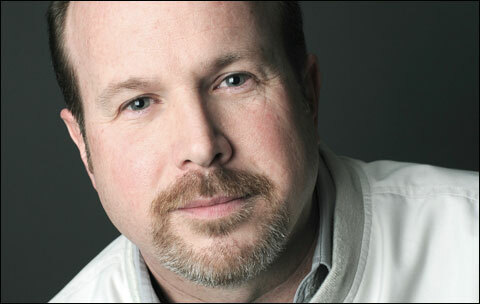 Mr. Whitworth’s next challenge was “understanding consumer buy-in because it’s new technology,” he explained. He tapped into his own marketing expertise. CleanShot as delivered to Walmart. He immediately followed up by selling CleanShot on the new web site of the company he owned, Huntego, Ltd. (https://huntegoltd.com). At the same time, he was engaged in conversations with Walmart. 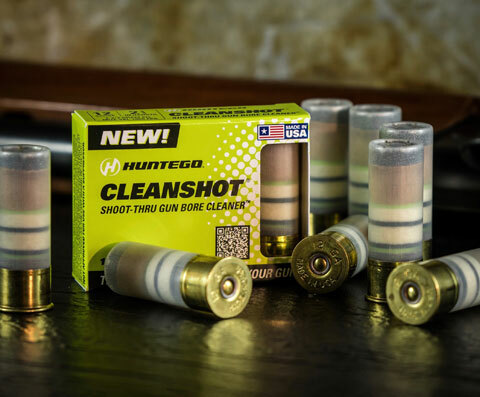 Since Walmart doesn’t sell ammunition online, CleanShot is sold in about 3,700 of Walmart Supercenters nationwide. His goal for 2018 is to make CleanShot more widely available through industry distributors. Currently, it’s only available in 12 gauge, although a 20 gauge version is expected later this year. Along with a 9mm and some rifle calibers – and that’s where the U.S. Military could come into play. Mr. Whitworth is of the mind that the CleanShot technology is useful for field-cleaning barrels for all types of firearms.